Should You Be Using Google Places Tags? If you are looking for more self-qualified local traffic to your website, and have claimed your Google Places page, you should consider using “Tags” to make you local listing stand out. If you have not claimed your Google Places page for your business, scoot on over to Don’t Lose Your Place – Claim Your Google Places Page! Tags are yellow markers that allow business owners to promote important aspects of their businesses. 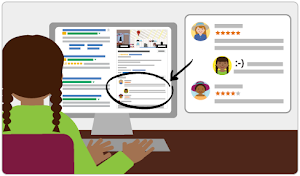 Potential customers can scroll over tags on Google or click on the sponsored link to view offers, photos, or other select features. You use tags to highlight information in you Google Places listing. Using tags does not affect your search results ranking, but they do help your listing stand out in the crowd. Easily highlight your listing on Google from Google Places. Potential customers in your local area will see what you think is most important or unique about your business. Track the effectiveness of your tag with your Google Places dashboard. No additional work or ongoing management is needed. 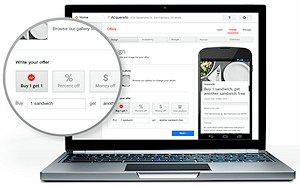 What does using tags cost? Google charges a $25 flat monthly fee, with no bids and no keywords required. What tags can you use? You can only pick one tag at a time, but you can change or remove the tag whenever you’d like. This should be a no-brainer for many of you. Read Google Help to learn more about using “tags” for Google Places. Of course, we are always happy to talk about how we can help you with Google Places tags. Don’t Lose Your Place – Claim Your Google Places Page! If you have claimed your Google Places page, please feel free to skip the rest of this. If you have not claimed your Google Places page. Do it! Better yet, talk with the people you trust most with your web presence about why and how. That may be someone on your staff, your webmaster, or your web marketing people. Oh, by the way, if they haven’t been telling you to use Google Local Business Center (before it morphed into Google Places) for the last few years, you should ask them why not. Why is claiming your Google Place Page important? On April 20, 2010, while introducing Google Places, they said, “One out of five Google searches is related to location.” Seven months later, the frequency of local searches has surely grown. After you claim your page, you may enhance the Place Page for your business by adding photos, videos, tags, hours of operation, coupons, and even real-time updates like weekly specials. One of the “features” is “ Reviews by Google users” which presents a compelling reason to “claim” your business Places page. Business owners that claim their listing may respond to negative (and positive) reviews. Here are some guidelines for managing your listing. 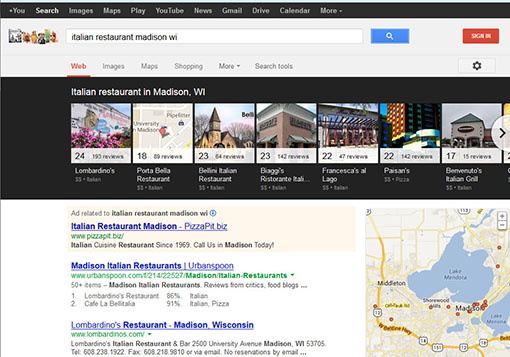 When is your Google Places listing displayed? Your listing will display when someone does a search on Google Web Search, Google Maps, Mobile search, 1-800-GOOG-411 voice directory search, or Google Earth. On any of these services, a search directly for your business name and city, will most likely display your listing. If your listing is well crafted, searches for your business category or services will trigger a display of your listing. There is a lot more to be said, but I’ll just close, by telling you, this is the most important local business search-related action you can take. Google Places is free, and you can easily claim and enhance the listing yourself. Invest a little time, and do this today! Learn more about Google Places, and remember, Don’t Lose Your Place! As always, feel free to post a comment or question, or call John at 1-800-281-9993 or 608-822-3750. Google says, “One out five Google searches is related to location.” Considering that a very high number of SERPs (search engine result pages) will display a map with a list of locations next to it, it behooves every business to take control of their renamed “Google Places” page. As usual for Google, the newly named Google Places comes with several new features. Unfortunately and as usual for Google, the search users and clients they serve in rural, lower-populated areas, cannot take advantage all of the new features. I understand the business decisions by Google to concentrate where they get the most return by targeting large population areas with the most potential customers. That said, I sometimes wonder if some of the people at Google don’t overlook that many areas with small populations and what they have to offer are destinations for those in metropolitan areas. I digress. Service areas: You can now show which geographic areas you serve. And if you run a business without a storefront or office location, you can now make your address private. You may read all about it here in Google Pages announcement. 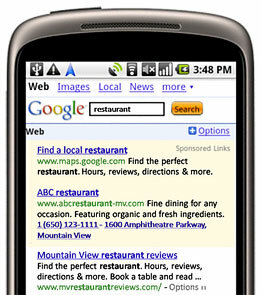 The bottomline is that you should, as before, enhance your listing with the map when it is displayed in Google’s SERPs. Now it is easier and you can do much more with your new Google Places page. If you haven’t taken advantage of this, all it costs is a little time, and you will get start getting more self-qualified traffic from searches related to location. Sign up today! As is the case here, most of the time what we post in this blog isn’t breaking news, nor anyone’s trade secret. It is usually just stuff that makes sense and works. Well this does both. Many times, when people using their mobile devices search for local businesses, they are looking for phone numbers, not just addresses. Well, don’t disappoint them, When they are looking for a restaurant or a business, serve up a phone number where they can “Click-to-Call.” Don’t lose that opportunity to talk with them! 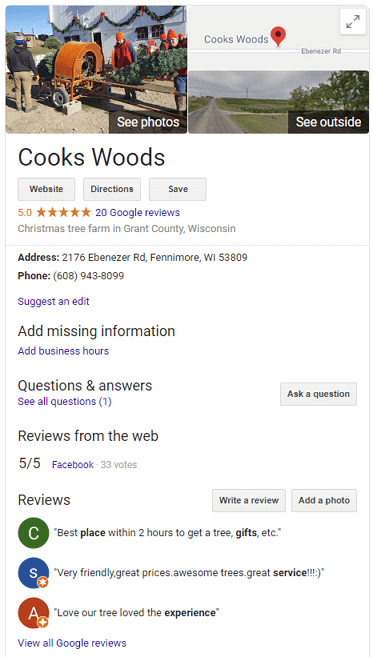 You may display the phone number from your Google Maps Local Business (If you have been reading this blog, you know we feel you should have a Google Maps Local Business listing.) listing by linking to that account. Additionally, you may manually enter a display phone number in your AdWords account. Customers will not only be able to click (or push) on the number to call, you will be able to track the calls in your AdWords account. Please remember these will only show on mobile devices with full internet browsers, not all cell phones. Jump over to the Google Inside AdWords to read how to track your callers, and more details about Click-to-Call. If you are thinking this would be great for ads other than local ad delivery, well Google thinks so as well. A few days ago they rolled out their “Enhanced click-to-call phone numbers.” To display your national business phone number on mobile devices with full browsers, follow the two steps listed in this Inside AdWords post. Just a few clicks on your part, will have self-qualified, potential customers clicking to call you! With the proliferation of smartphones (I love my Droid Eris. ), more of your customers and prospective customers are viewing your websites from a mobile device. Take advantage of it. 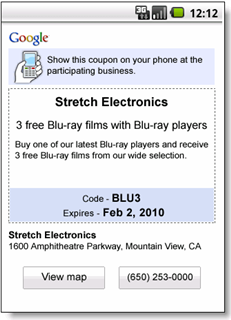 If you use coupons in print advertising, you certainly know their effectiveness. 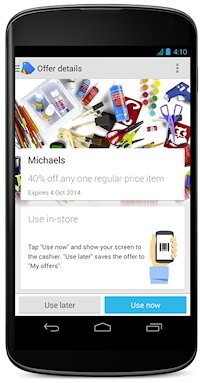 Google’s “mobile coupons” have all the same advantages with much less hassle. And, it’s not as likely that you’ll forget your phone as you do the paper coupons as you hurry out the door. Simple to use, and another way to get customers in the door!